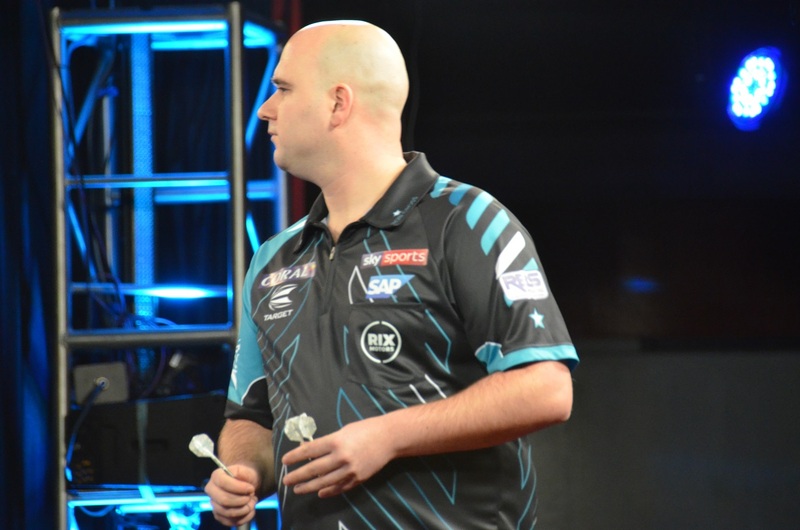 World Matchplay Preview - Part 2 The Favorites For the betting companies - and probably most darts fans - Michael van Gerwen is the favorite to win the World Matchplay followed by Gary Anderson, Rob Cross and Peter Wright. Outsider chances have Michael Smith, Daryl Gurney, Mensur Suljovic, Raymond van Barneveld and James Wade. Another might be outsider could be Adrian Lewis. The best chances of the debutants for the bookmakers have Jonny Clayton, Jermaine Wattimena, Max Hopp and Steve Lennon while Richard North and Jeffrey de Zwaan more or less have no chance at all. When we look at theist of favorites from last year we'll see that it is almost identical. Only of course Phil Taylor is out of the races. He was replaced by Rob Cross. Van Gerwen and Gary Anderson are as Michael Smith, Daryl Gurney and Raymond van Barneveld in the upper half of the draw while Peter Wright, Rob Cross, Mansur Suljovic and James Wade are in the lower. That means should all go according to plan Michael van Gerwen will play in the semifinals against Gary Anderson and in the final against Rob Cross or Peter Wright who'll meet in the second semi-final. Michael van Gerwen first has to win against debutant Jeffrey de Zwaan who defeated him in the UK Open. Next would probably be Adrian Lewis and the quarter final opponent could be Michael Smith. It's difficult to assess how good van Gerwen's form is. On one side he won the last European Tour Event and even threw a nine-darter during the event. On the other side he was eliminated in the World Series events in Las Vegas in the quarter-finals and the semi-finals respectively and didn't show his best performances. He doesn't look as unbeatable as he sometimes did in the past. And he's defeated from time to time by Jeffrey de Zwaan, Adrian Lewis, Michael Smith and Gary Anderson whom he could meet in the semifinals of the World Matchplay. 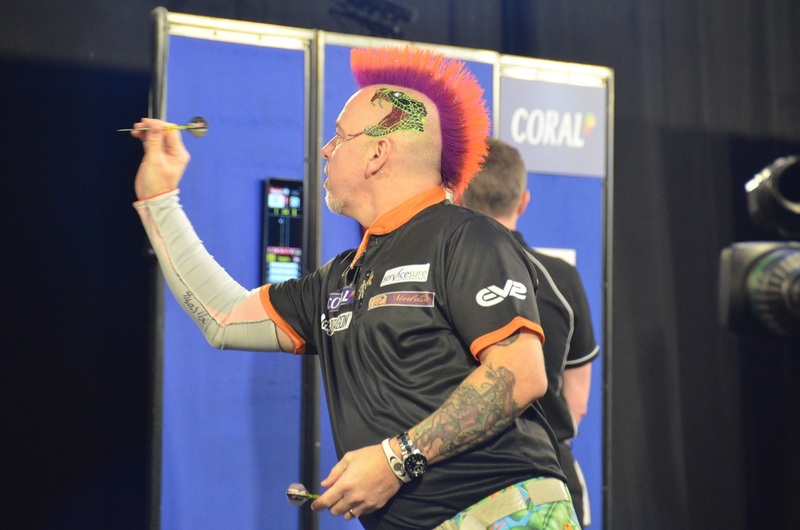 But should van Gerwen reach the final he could meet there once again Peter Wright. 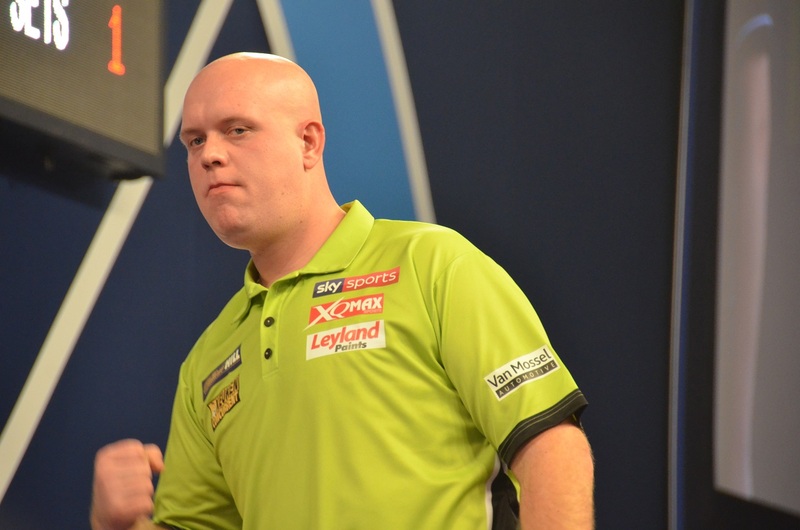 Van Gerwen has beaten Wright in 80 percent of their matches. Or he could meet Rob Cross there who's lost more often to van Gerwen then van Gerwen to him. Though of course we all remember the semi-final of the World Championship where van Gerwen lost to Cross. But Cross from is still not as good as during the World Championship and Peter Wright didn't manage to play consistently for quite a long time. I am sure Michael van Gerwen will enter the World Matchplay highly motivated - and - like the betting companies - see him as the favorite to win. As in every tournament he enters Gary Anderson is a favorite on the win as well. And should he be in his best form and be really motivated he'll be unstoppable. But might be a not really motivated Anderson with some double trouble will turn up. Then he could already lose to Stephen Bunting in the first round especially as Bunting showed some great performances recently. The next opponent could be Raymond van Barneveld. Van Barneveld's last TV appearance was the World Cup of Darts which he won together with Michael van Gerwen. 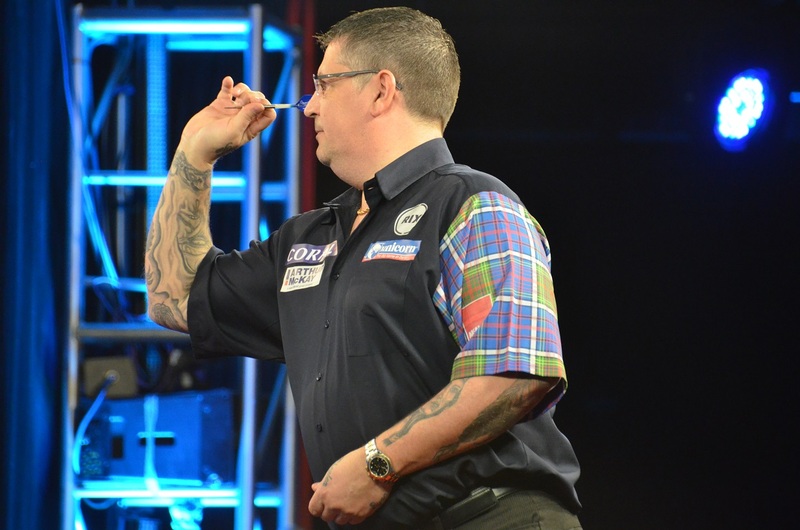 But he lost his single match against Gary Anderson with an 84.60 average. So should he not be able to play a lot better Anderson will not have any problems to overcome him. The same applies for Daryl Gurney, Steve West, Gerwyn Price and Joe Cullen - all might be quarter finals opponents. Should Anderson play well none of those will be a hurdle not to overcome for Anderson. A semi-final against Van Gerwen could be a real challenge for the Scotsman. Should he reach the final the opponents could be Peter Wright or Rob Cross - difficult but not too difficult for Anderson. So for Anderson the real stumbling block would be the match against Michael van Gerwen. Rob Cross lies even with Gary Anderson in the eyes of the betting companies but is in the lower half of the draw. His first opponent will be Mervyn King whose form seems to be quite good at the moment. A second round match against Darren Webster could prove another diffuclt match for Cross though we see an upturn in form with him. Webster's form is not at his best either at the moment. In the quarterfinals Cross could meet Mensur Suljovic who won an European Tour event recently. When you look at the head to head statistics Suljovic lost most of the time to Cross.In the semifinals the number three of the World - Rob Cross - could meet the number two of the world - Peter Wright. I feel those two are rather equally matched at the moment - it would be a rather open match. And in the final Michael van Gerwen or Gary Anderson could wait. I tend to see van Gerwen or Anderson as the winner of such a clash. On the fourth place of the favorites we find Peter Wright. He is in the lower half of the draw as well. I am sure Wright his not happy with his game at the moment. You can't say he's playing bad or weak but till now he never reached his top form this year. Might be the reason are some health problems but he is not talking about them. While last year at the same time he already had several wins on the Tour and the win of the UK Open this year till now he only won a single Players Championship. Last year he reached the final of the World Matchplay and lost to Phil Taylor. He again could reach the final this year and lose again - this time to Michael van Gerwen or Gary Anderson. In the first round he will play against Jelle Klaasen who is not in top form either. Next he could meet Kim Huybrechts who is in some kind of continuant crisis though he sometimes surprises with top matches. Then Simon Whitlock or James Wade could wait for Wright. Wade is already in a good form with still ascending tendency - that could in the end be too much for Wright and at least a hard match. In the semi-finals he could play against Rob Cross though one shouldn't lose sight of Mensur Suljovic either. As with Cross I feel in a final against van Gerwen or Anderson the chances to win the tournament are not good. Michael Smith, Daryl Gurney and Raymond van Barneveld are the players out of the upper half of the draw who might have an outsider chance to win. I think Michael Smith is the most likely candidate of those three to cause an upset. In the lower half of the draw we have James Wade and Mensur Suljovic with an outsider chance. Both could survive several rounds. In the lower half there are a lot of players who play at the moment at the same level and to me it looks more open than the upper half. Might be another player out of the upper half to get far could be Adrian Lewis who's getting back to old strength. But might be the World Matchplay it still too early for him. He would have to win against Michael van Gerwen in the second round and his record against van Gerwen is far from good. More than 50 matches the two have played and Lewis won less than a third of them. Michael van Gerwen is beside James Wade the only player in the tournament who already won it. James Wade was the winner 11 years ago and since than four times stood in the final - losing three times against Phil Taylor and once against Michael van Gerwen. Van Gerwen won the event in 2015 and 2016 and stood 2014 in the final. Van Gerwen and Raymond van Barneveld are the only players in the tournament who already threw a nine-darter in the World Matchplay.